Have you recently suffered a serious injury after being injured in an accident that was caused by the irresponsible actions of another? If so, get the compensation necessary to recover from your accident-related injury by working with a personal injury lawyer in Idaho. Accidents that cause serious injuries come in many different forms. From car accidents to dog bites, if you suffered an injury due to the negligence of someone else, you have the right to file a personal injury claim seeking compensation for the damages you endured. Catastrophic injuries can change your life in ways you never could have imagined, leaving you with long-term and permanent disabilities, lost income, and mountains of debt. When filing a personal injury claim, your goal is to recover fair and full compensation for all your losses, including non-economic damages for your physical pain, emotional suffering, and how your enjoyment of life has decreased. 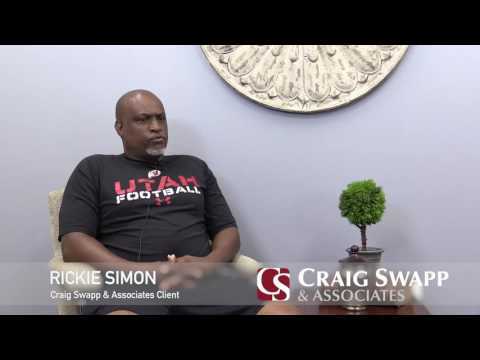 To understand how personal injury law applies to your case and what your next steps should be, an Idaho personal injury attorney from Craig Swapp & Associates can explain your options in detail and develop a plan to recover the financial settlement you deserve. As long as someone else was at fault for your accident, you have the opportunity to file an injury claim against the negligent party. Proving fault can be a difficult task without help from an Idaho injury attorney. Motor Vehicle Crashes – If you suffered injuries during a car, truck, bus, motorcycle, or boat accident, you can seek compensation from a negligent party, road contractor, municipality, or vehicle or parts manufacturer. Workplace Accidents – Negligent third parties not affiliated with your employer can be held accountable for your on-the-job injury. Contractors, product manufacturers, and property owners can all be negligent in these cases. Premises Liability Incidents – If you suffered an injury on another person’s property or place of business, the property owner or business could be responsible. Claims for slip-and-falls, dog bites, and chemical fumes are common premises liability claims. Defective Products – If your injury was the result of a malfunctioning or defective product, you can seek compensation from a product manufacturer, distributor, retailer, or advertiser through a product liability claim. Fatal Accidents – You can file a wrongful death claim against the negligent person or party who is responsible for causing your family member’s death. If you were injured in any of the previously mentioned types of accidents, or if you were involved in another kind of accident and aren’t sure if you can pursue recovery of your damages, reach out to a qualified personal injury attorney in Idaho as soon as possible. Personal injury laws in Idaho are detailed and complex, particularly when it comes to determining fault and assessing the value of damages. An Idaho personal injury attorney from our office will carefully evaluate all your losses and determine the amount of compensation you are owed. Damages in a personal injury claim are often separated into two different categories: economic damages and non-economic damages. When discussing your economic damages, we are referring to the damages that have had a direct impact on your finances, whereas your non-economic damages will refer to the effect your injuries have had on your psyche and lifestyle. Additionally, there are some cases where you could be awarded a sum of punitive damages. These will only be issued when the judge finds that the actions of the defendant were willful or malicious in some way. The purpose of punitive damages in injury claims is to punish the liable party and make an example of them in the hopes of reducing the likelihood of a similar incident occurring in the future. Whether you suffered a broken bone, a traumatic brain injury, or anything else, you can’t risk accepting a settlement that doesn’t cover all of your injury-related needs. To receive full compensation for your serious injury, contact an Idaho personal injury attorney from Craig Swapp & Associates. Our consultations are free, and there is no obligation to proceed past the initial discussion. To learn more, call 1-800-404-9000 or contact us online today through the quick contact form below.